Today is Prime Day: Amazon’s bid to transform paying them $99 for an annual membership into a national holiday. The Internet oligarch is blanketing the Web with deals and enticements to encourage sign-ups. It even pitches this as a way to get a jump on holiday shopping—Amazon is literally selling Christmas in July. The real intent here is behavioral: to make US consumers feel like they should shop only at Amazon. As Amazon CEO Jeff Bezos said last year, “Our goal…is to make sure that if you are not a Prime member, you are being irresponsible.” According to estimates from Consumer Intelligence Research Partners, 80 million households have Prime memberships. Because the primary benefit of Prime is free two-day shipping, shopping more at Amazon increases the perceived value of the membership, keeping users stuck inside the Amazon box. CIRP reports that the average Prime user spends $1,300 a year with Amazon, compared to $700 a year for the non-Prime Amazon shopper. To get people to take that plunge, Amazon promotes big deals, which is consistent with its strategy of accepting major up-front losses in a relentless quest to dominate commerce and become America’s company store. (Type relentless.com into your browser and it goes to Amazon.) Armed with incredible amounts of shareholder capital, Amazon can simply pummel competitors into submission. So Prime Day is not just a sale, it’s a threat to any company selling anything in America. This year on Prime Day, Amazon is offering four months of unlimited streaming music for 99 cents, a clear challenge to Apple’s iTunes and other streaming services like Spotify (which costs 10 times as much). The goal is to move people off alternative networks and into the Amazon universe, where everything is cross-sold and cross-promoted. Amazon also has major Prime Day sales on technology like its Alexa devices (one of which is designed for listening to music; all the better to pull people from streaming competitors). These devices make ordering on Amazon as simple as saying “buy paper towels” out loud. Again, the sale serves as behavioral marketing to make competition to Amazon unlikely. Diapers.com is a good example. Their parent company, Quidsi, initially resisted Amazon’s buyout bid. 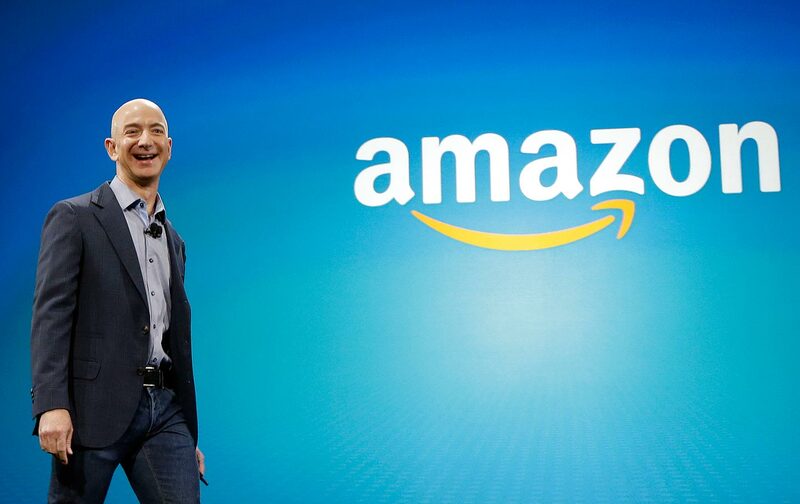 Amazon responded by slashing prices so deeply on diapers, Quidsi executives estimated that Amazon was willing to lose $100 million on the product in three months to rip away market share. Diapers.com realized they couldn’t compete, and Amazon bought them out. This market power enables Amazon to bully counterparts. The mere suggestion that Amazon would launch a consumer-electronics help service to rival Best Buy’s “Geek Squad” sent Best Buy stock plummeting. There hasn’t been a seriously successful Internet startup in over a decade, because Amazon and its fellow platform monopolists, Google and Facebook, can so easily buy up challengers or underprice them into oblivion. Startups need the oxygen only giant platforms can provide, and you can’t exist on Amazon’s ecosystem and thrive without becoming a target sooner or later. This damages entrepreneurship, the lifeblood of a strong economy. It can explain not only soaring inequality but also the inescapable feeling that the economy is stuck in the mud. When so much consumer spending goes to Amazon instead of small businesses across the country, the retail base gets hollowed out and opportunity wanes. You may have the next great idea for something people will love, but your ability to get that into their hands rests on dealing with one giant company in Seattle, which is intent on either co-opting you or crushing you. In this sense, America’s monopoly problem is a problem of restraining liberty, preventing people from displaying their talents in the marketplace. Incredibly, intermingled with this predatory pricing scheme is a trend of deception. According to a new report from Consumer Watchdog, Amazon routinely uses misleading pricing practices. Regulators have scrutinized Amazon’s use of “list prices” for years, which appeared next to its own price to show the value of the discount. Those list prices were higher than the prevailing market price, tricking customers into thinking they were getting a better deal. Amazon changed this practice, introducing the “Was” price to show a historical reference for shoppers to compare with the price they pay. But Consumer Watchdog found that these reference prices often didn’t exist. In nearly 40 percent of the cases, the “Was” price was higher than any price Amazon ever charged. And these reference prices were on average 70 percent higher than the maximum price the company ever charged. If this is true, it violates Federal Trade Commission statutes on deceptive pricing and several state consumer-protection laws. This fits with the behavioral marketing of Prime Day. Even the price of a Prime membership is a bit deceptive. Last year, Amazon introduced a monthly charge for Prime of $10.99 a month, rather than asking $99 a year in one shot. But the annual fee from the monthly payments translates to $133.88, over 30 percent more for the same service. Nonetheless, over one-quarter of Prime customers pay the monthly rate. And keep in mind that Amazon is trying to enter the physical retail world with its purchase of Whole Foods. It’s unclear what that means for pricing—whether discounts will be again tied to Prime memberships, whether additional deceptions will follow into meatspace. But the Amazon-Whole Foods acquisition offers an opportunity to actually review Amazon’s pricing strategies, its leveraging of Prime, and its threats of market concentration. Prime Day isn’t so much a holiday as it is Exhibit A in a grand scheme for control of the economy, one that hurts producers, economic vitality, and eventually consumers if monopoly becomes so calcified that prices can rise with impunity. I know everyone loves a sale, but we shouldn’t be buying what Amazon is selling.